West Ham pick up a striker until the end of the season. Free agent...Nene will join West Ham until the end of the season. • West Ham United signed former Paris Saint-Germain forward Nene on a deal until the end of the Premier League season, subject to international clearance. The 33-year-old Brazilian, who was Ligue 1’s top scorer in 2011-12, was a free agent after leaving Qatari side Al Gharafa in January. “I’ve been thinking about coming back to Europe for a few months because here the football, the ambience, everything is better. Nene has arrived at Upton Park as cover for Andy Carroll who has been ruled out for the rest of the season due to a medial knee ligament injury. 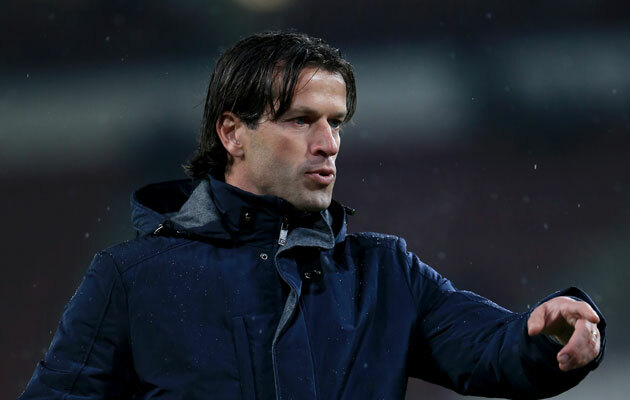 • PSV assistant coach Ernest Faber will leave the Eredivisie leaders at the end of the season, explaining that “the time has come to take the next step in my career”. 43-year-old Faber took time out in order to explain his decision to the club’s dedicated television channel. “I want to develop further. That is a very natural process and I’m ready for this step,” Faber told PSV TV. “At the time I joined, I made a conscious choice to take the assistant role. “Now I again make a conscious choice. But, my full attention remains on the current season with PSV, where we can create something very beautiful. The Eredivisie league leaders face Russian outfit Zenit St. Petersburg on Thursday in the Europa League last 32.